When you think of Hill Farmstead, you probably think of IPAs and saisons, but they do make a wide variety of styles including porter. This is my first dark beer from this highly sought-after brewery and it’s definitely an excellent example of the style. Robust palette with a body that’s as nice on the eyes as it is on the tongue. I poured a 500ml bottle into a tulip glass. It was bottled on 8/14/15 and cost $8.50 ($0.50 per ounce). Thanks to Jon H. for the bottle! Appearance: One of the darkest porters I’ve seen with a jet black, opaque hue with just a hint of brown highlights. Pours to a large, dark tan frothy head which retains and laces extremely well. Smell: Plenty of dark malt, though not roasty or chocolaty per se. Fairly sweet scent all around with a trace of pine. 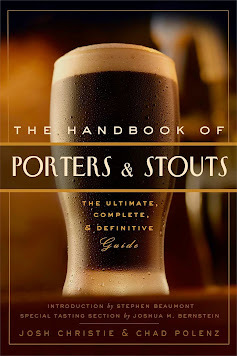 Taste: There’s a fine line between a strong robust porter and a stout and Everett seems to straddle that line pretty firmly. I don’t get the lighter fruity sweetness here that’s typical of a porter, but more of a deeply bitter roasty sensation usually associated with stouts. Not that I’m complaining, but the flavors that are present are plenty delectable. Sweet dark malty flavor is the first component, followed by a resiny/piney sensation from the hops. Not especially bitter, though there is a dry, coffee and burnt toast-like taste on the finish. A residual earthy aftertaste completes and complements the palette perfectly. Drinkability: Hill Farmstead Everett is not only a great-tasting beer, it’s also a pleasure to drink. The mouthfeel is very silky and smooth, though it does feel just a tad thin. For a 7.2% ABV brew, there is no alcohol presence whatsoever; which makes it almost dangerously drinkable. Even the aftertaste is good, if a bit astringent but easily tolerable.